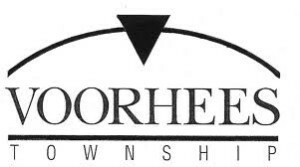 Voorhees is getting green, not with envy, but instead with a recent resolution passed by township committee that endorses the recommendation of green building practices for municipal, commercial and residential buildings within the town. Green buildings and properties are those that are more environmentally efficient than traditional buildings by making better use of energy, water and other materials. The sites also reduce or even possibly negate the impact of humans on the surrounding environment throughout the building’s lifecycle, from construction, to operation, to maintenance, to deconstruction. General green building practices can potentially range anywhere from designing a building in such a way that it can use natural daylight for light and heating, to using natural breezes for ventilation, to optimizing on-site stormwater treatment and groundwater recharge, to simply making better use of space in existing buildings instead of new construction. “It’s a recommendation for encouraging green municipal practices for buildings. It’s things like in the bathroom the lights go out automatically if there’s no movement for a few minutes,” Voorhees Township Administrator Larry Spellman said. In the resolution passed by committee, information is cited from the U.S. Green Building Council, which reports that buildings in the U.S. account for 39 percent of CO2 emissions, more than transportation or industry, for about 12 percent of potable water use, 65 percent of waste output and 71 percent of electricity consumption. Also in the resolution, the township expresses a desire to set a leadership role in green building throughout the township, and will do so by implementing energy efficiency audits and upgrades to the municipal building stock, improvements in water conservation and increased construction waste recycling in municipal buildings. However, according to Spellman, the recommendations for the township as a whole are ultimately just that, recommendations — not mandates. Still, Spellman said the endorsement of practices would hopefully encourage environmentally friendly practices in Voorhees’ commercial and residential buildings as well. “They’re all recommendations. They’re not mandates, but I was talking to committee in caucus, and in reality, if we see what’s going on, out west especially, they’re becoming very aggressive on recycling, on green buildings … you know it’s coming this way,” Spellman said. According to the resolution, the township will also continue to support green building in the private sector with a combination of future educational initiatives and other voluntary actions. Spellman also said the resolution could potentially be another step toward helping the township’s Sustainable Voorhees committee upgrade from its Bronze Certification, which it received in 2013, to a higher rated Silver Certification. Sustainable Voorhees is the commission that works to certify the township under Sustainable Jersey — a statewide program for municipalities that want to go green and save money. The committee can reach higher certification ratings and potentially receive grant money available for green initiatives and improvements by completing certain “priority actions” from Sustainable Jersey, such as conducting a natural resource inventory, instituting tree planting programs, creating community gardens or having the municipality adopt a green building resolution. “I had a meeting with them (Sustainable Voorhees) recently and they’re really going gung-ho, and these right now are some recommendations,” Spellman said.